Curious about the dyscalculia testing process? Since every child learns differently, some much more adaptable to the classroom environment than others, it sure does seem strange that schools don’t educate parents on learning disabilities. They aren’t diseases, they aren’t restricted to any IQ level or social standard – they are simply differences in the way the brain works. A simple understanding would surely ease the mind of most parents, and questions like these wouldn’t be filled with trepidation – just academic curiosity. Fortunately there are some questions to ask that will help you figure out if you need to pursue dyscalculia testing. For instance if the student answers yes to more than half of these questions, then you should consider further testing. 1. After seeing a number written down, if I try to copy it I often mix up the numbers. 2. I have the hardest time remembering numbers – even phone numbers that I dial often. 3. Fractions baffle me. I don’t understand them. 4. I understand what odd and even numbers are, but when asked I have to think a long time to figure out which one is odd and which are even. 6. I find it difficult to line up math problems and even more difficult to count backwards. 7. And I find it hard to switch from adding to subtracting. 8. Finally, doing math just makes me tired. These are the kinds of symptoms that should lead you to professional testing. Your school should be the first place you go to start the process. They may have you go to a psychiatrist or may have you tested by folks in the school system. Some of the tests that are given include the IQ, the Wechsler and the Woodcock Johnson Scale of Cognitive Abilities. Another test often used is the Keymath Revised test. The first two are quite general and don’t necessarily provide the level of detail needed to help the student. However, the last two tests cover 15 specific math areas. Many parents find these tests to be an eye-opener for them because they do narrow down the exact skill sets the student is having trouble with. If you’d like to now more about the kinds of tests your school may offer, the best kinds of tests you need to make educational headway and other great ways to help kids with math troubles, please contact us. Despite a diagnosis of an Axis 1 disorder on a WAIS III test, my school refuses to discuss accommodation or substitution with me. They want a math-specific diagnosis only. It was great talking with you. Hope my suggestions helped. Dr. Silbert, I am also looking for a person qualified in testing for dyscalculia in the Boston area. Could you share the name? 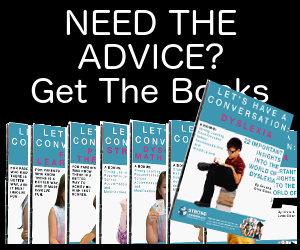 I have been tutoring a 17 year old for over a year now and from all I have read I believe he has dyscalculia but the school psychologist does not have experience in it and only administered more general tests. He needs a better understanding of his math learning disabilities and an action plan for college. Thank you in advance!!! If you haven’t done so yet, contact one of the universities or colleges near you. Ask to speak to someone in the education department. Ask if they have someone on the staff that can help you. I also need this testing for my daughter daughter, who is 15. Do you know if Patricia had success? Could you refer me to a treating professional in phoenix, az? With testing to find out exactly what the problem is and with the right help, Patricia can probably achieve success. Call your local school district and find out whom they recommend. Good luck. Dr. Linda. My daughter has disabilities in Math. She is in 6th grade. Her Math teacher thinks she might have dyscalculia. When I read your signs and symptoms I started to cry because it’s a description of my daughter. She has done testing in her public school but I feel we need to do more. Can you recommend anyone in the Boston, MA or Providence, RI area that test for this disability. I would be most greateful. I sent you a psychologist near you that can do the testing. Let me know how it went. I have two children each diagnosed with learning disabilities, one specifically for math. I have experienced issues all my life with math. After being laid-off from my previous job (economic downsizing), I am now in a new job that is very math – schedule – process related. I had expressed some concern to my new employer, but his response was “no worries! anyone can do this!”. My given talents are for the written word and some languages. I have recently receive my AAS in Criminal Justice and am looking forward to pursuing my BS. I love to research and solving social issues, but get a headache – literally – in economics and statistics classes. I need to find someone in the Atlanta area that is competent with testing / diagnosing Dyscalculia. My employer doesn’t understand my issues with math, and I believe a formal diagnosis shall be quite helpful with his understanding and in finding supplemental supports for my next round of math classes. Any suggestions you may have would be greatly appreciated. My daughter with the math issues also needs more support from her school for her math challenges, but the school is loathe to give her any, other than extended classroom time for work and tests. Formal testing for her beyond the school’s scope could provide that. I thank you for your time and consideration and look forward to your response. I just read your entry and was wondering if you ever got an answer to your question about providers/tutors in the Atlanta area. I believe my 12 year old son also has dyscalculia but he hasn’t been “formally” tested yet. We really need a tutor. If you have any referrals or resources, I would greatly appreciate it. I am in the same boat as Steven-I am six credits away from getting my Bachelor’s Degree and 3 of those credits have to be an Alegbra class. I had to drop out of a pre-alegebra class last semester after three classes, as I just couldn’t do the work and understand the concepts-I just don’t get it! Can you recommend testing services for Dyscalculia in adults in the greater Milwaukee area? I would hate to have this impede my finally getting my degree. The last math class I had was in 1973 and I passed with a “D” My teacher at the time recommended that I never take another math class, that’s how bad I was in math. Appreciate whatever advice you may have for me. I am an adult and have struggled with math my entire life. My daughter was recently formally diagnosed with dyscalculia and I was told it sometimes is genetic. I am trying to get formal testing for myself and am lookiing for someone to do so in the Hanover, PA area or Harrisburg, PA area. I cannot begin to tell you how many times I have failed math in my life. Would you be able to give any suggestions? I am looking for someone in the Cape Cod or Boston, Mass. area that can test me for dyscalculia. symptoms you have listed. I am trying to get course substitutions for degree that does not have algebra as core coursework. I am from Malaysia and currently supervising a masters degree student doing work in dyscuculia. We are interest in finding the prevalence of dyscuculia in Malaysia. Thus I am very interested in screening test to identify these children in Malaysia, age range 11 to 15 years. Please inform on how I could get these screening instruments. I also desperately need some referrals in the Atlanta area for my 12 year old son. He could really use a tutor that specializes in dyscalculia. So far, no one has been able to help me. I have had major math difficulties all my life. I cannot continue onion college because if it. My major is not math based and requires only one math class. I attempted it and failed miserably. Where can I go to get testing in Rhode Island? Can you recommend anyone who can help my daughter she is 10 and is have a difficult time with math. Her school provides additional assistance to her but I feel she is not moving foward with math . Her reading skills and spelling are above her grade average but she lacks greatly in math even basics. If you could please recommend any doctors in the Detroit metropolitan area I would greatly appreciate it. Formal assessment by a qualified professional is a crucial first step to helping any child with a learning disability, because it provides important clues to what the most effective focus of tutoring or other interventions should be. Information is power. Learn as much as you can about any assessments that have already been conducted and ask how you can support and reinforce skills school personnel are already working to help your child to develop. In the meantime, read our book, Why Bad Grades Happen to Good Kids. In it we include case studies about children with various learning challenges and how we helped them deal with them. Visit our website at http://www.stronglearningstore.com and explore some of the workbooks and games we use with kids who have difficulty with math in our tutoring practice. 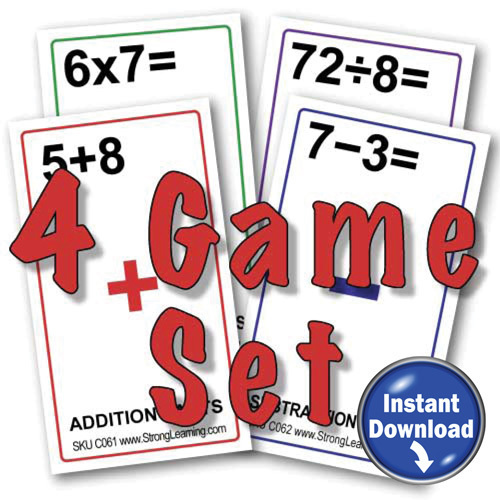 The math card games are great for practicing addition, subtraction, multiplication and division. Improve Your Math Skills is a great resource for students having trouble with fractions, decimals and percent. 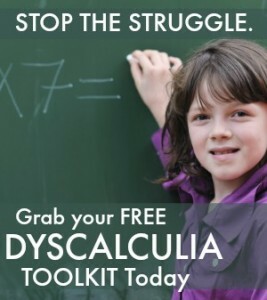 And be sure to download The Dyscalculia Toolkit. It includes strategies and ideas on how to help your child. hello, i would like to test for dyscalculia how can i do that? I am a college student that is having the worst time in my Algebra class (actually it is a remedial algebra class) I have taken this class 4 times and I am still not catching on. I did some research on operational dyscalculia- and that is my problem I CAN NOT for the life of me remember the steps to solving the equations. I am decent at regular math (adding,subtracting,ratios,fractions,dividing,multiplying,etc) but when it comes to the algebra part of math it defeats me… I should have graduated already from the collage I am at now, but the math class is holding me back… Any help you can offer will be greatly appreciated on how I can get past this math so I can move forward in my studies and life!! Thanks!!!!!!! Have you asked for help from the people at your college who help students who struggle with math and other subjects? I’d start there. You might also consider getting a math tutor to help you. Is there a correlation between dyscalculia and having difficulty on True/False and Multiple Choice tests, and if so, are there strategies that you recommend for these types of tests? There is no known correlation between dyscalculia and having difficulty on the tests you’re talking about. I would recommend getting a book on how to study math. You can get Improve Your Math Skills at http://store.stronglearning.com/study-skills/math This book will give you tips for true/false and multiple choice. My son is diagnosed with Non Verbal Learning disability and struggles with math. He has been through 3 neuropsychological tests and we are thinking about having him tested by a specialist in math disabilities. Do you know anyone in the metrowestymca area of boston who might be helpful? We feel we need more concrete information for the school to get him the right instruction. I don’t of specific resources for the Boston area. I would look for educational counselors or tutors who can administer a test for dyscalculia if your daughter’s school can’t do it. Talk to her math teacher. And even to the school counselor. My name is Elizabeth Ramirez, I am a librarian at the University of San Luis Potosi in Mexico. One of our researchers would like to know if there is a possibility that you can recommend a test to measure Dyscalculia, but specially in adolescents… if not possible, in children. We have read that you have interesting publications, but do not know which method we apply. We may purchase or apply to other libraries or institutions. The internet tests are not scientific, so we really appreciate your recommendation. I would love to have my 10 year old daughter tested for dyscalculia. She has struggled with math since Kindergarten. Do you have any recommendations in the Boston MA area? Sorry but I don’t know of any one in the Boston area who tests for dyscalculia. Her school should be able to provide that service. Ask her teacher about it. You can also call the school district and ask about the testing. I am looking for a math tutor in the Atlanta area who specializes in dyscuculia. Can you provide me with some suggestions?